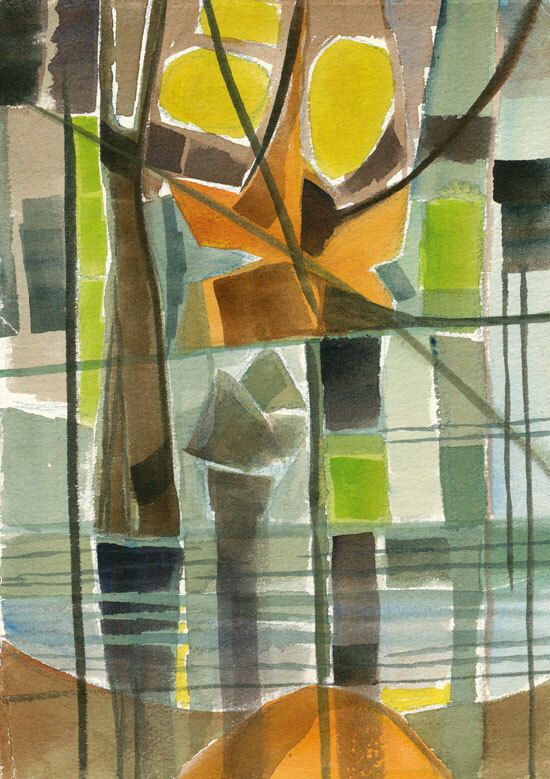 These two pieces were created on the same day while doing plein air at Cheniere Lake. There’s so much to look at, and it can be very overwhelming. The cypress trees seem to go on forever. I kept seeing simplified shapes, so I wanted to break the next painting down into abstracted shapes and see what would happen. I’m fairly pleased with the result. 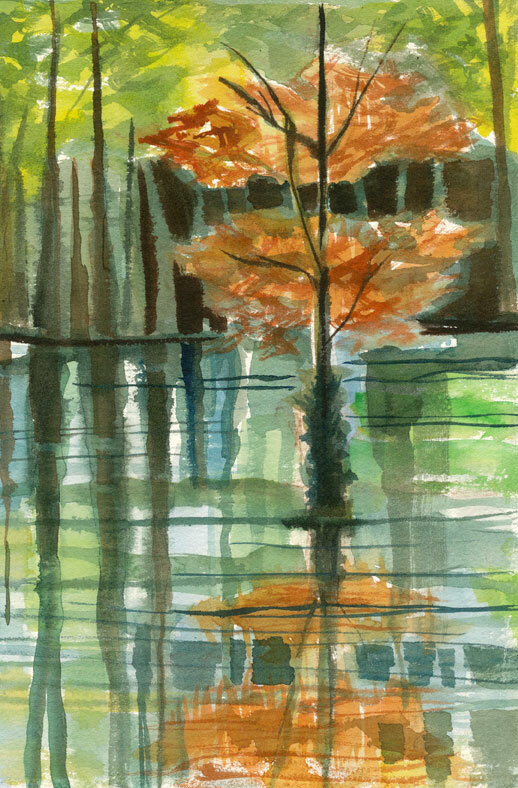 This entry was posted in Uncategorized and tagged Cheniere Lake, Linda Kay Thomas, Linda T Snider Ward, Louisiana artist, plein air, small art, watercolor. Bookmark the permalink.